We ship tons of natural stone to masons, architects and builders across the US every day and sometimes we don’t see the project in the completed phase. Every once in a while, a project really catches our eye. 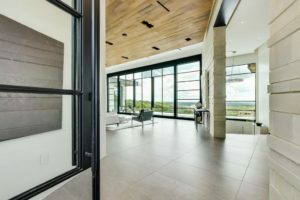 This ultra contemporary home was designed by Fazio Architects and features custom cut Buff Lueders limestone cladding sourced from our quarry in Lueders, Texas. 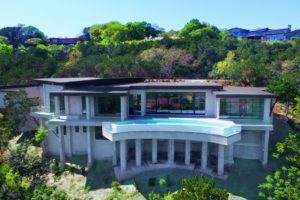 Each piece of stone on this Westlake Hills home was cut to 42 inches in length with our Infinity saw and carefully hand polished. 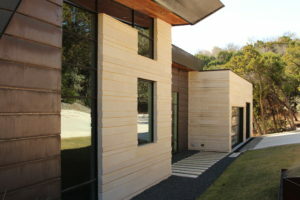 The exterior walls of the home are curvilinear. 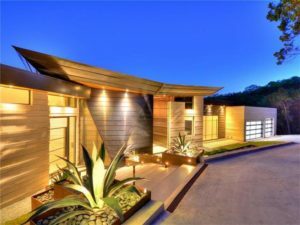 Glass, steel and wood elements lend to the modern feel of this beautiful custom home. The stone courses are 3, 6 and 8 inches high by 42 inches long respectively. 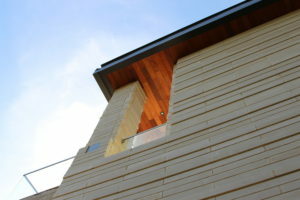 The stone cladding completely surrounds the home. 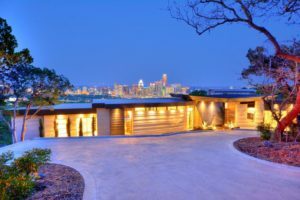 What a view of downtown Austin, Texas! Here are a few more shots of this lovely home. 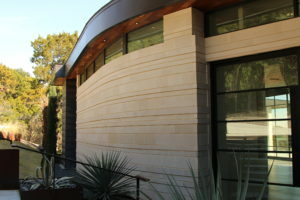 Notice the Buff Lueders pool coping and patio stone. We work hard to deliver the highest quality custom stone available. 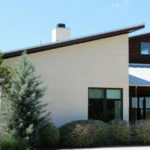 We have the largest, state-of-the-art stone fabrication facility in Texas. We’d love to hear about your project. 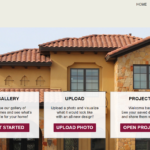 Feel free to visit Espinoza Stone and view more great stone projects. It’s a great place to get a feel for natural stone.